These weeks leading up to the holidays are the craziest! 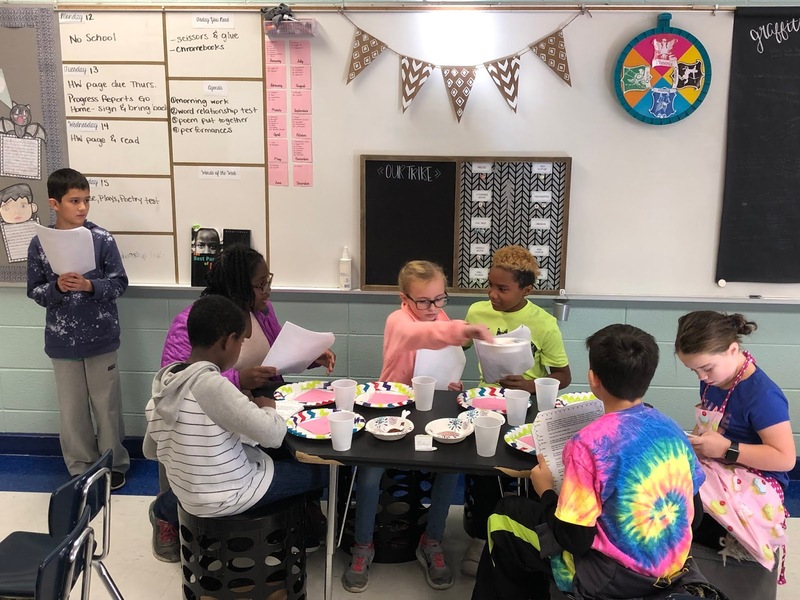 If you've ever been in the classroom during this time of year, you'd be ready to sit in the corner and eat left over cupcakes from the holiday party by the time Christmas break rolls around. However, it's full of tons of fun and some of the best memories are made during this time of year. We had a nice little extra long weekend for Veteran's Day and that was not taken very lightly. The Friday before this break, the 5th graders performed for our Veterans and it was a huge tear-jerker! The kids were crying, the teachers were crying, the attendees were crying. We all went into the long weekend feeling a great deal of appreciation. 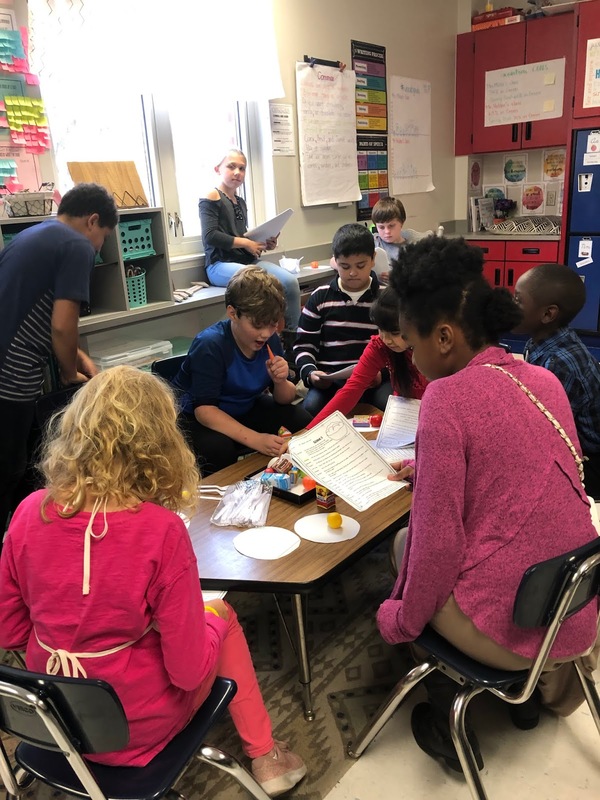 When we returned on Tuesday, we hit the ground running because we had just 4 days together before we were on Thanksgiving break. Within those 4 days, we did A LOT! 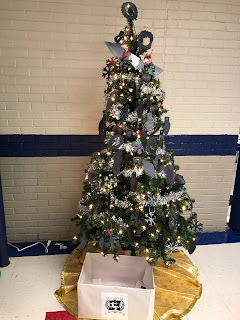 I wanted to share a few things happening in our classroom and around the school that got us all pumped to return after Thanksgiving break. We took a few weeks to really get into the literary text structure standard. We began with Prose using Wonder which we had just finished. After a few days, we got into Poetry, which is where we spent 2 weeks of our time. I used BetterLesson to guide most of my instruction of this, and I'm so glad I did! It fully prepared my students to get into this major project: The Best Part of Me. 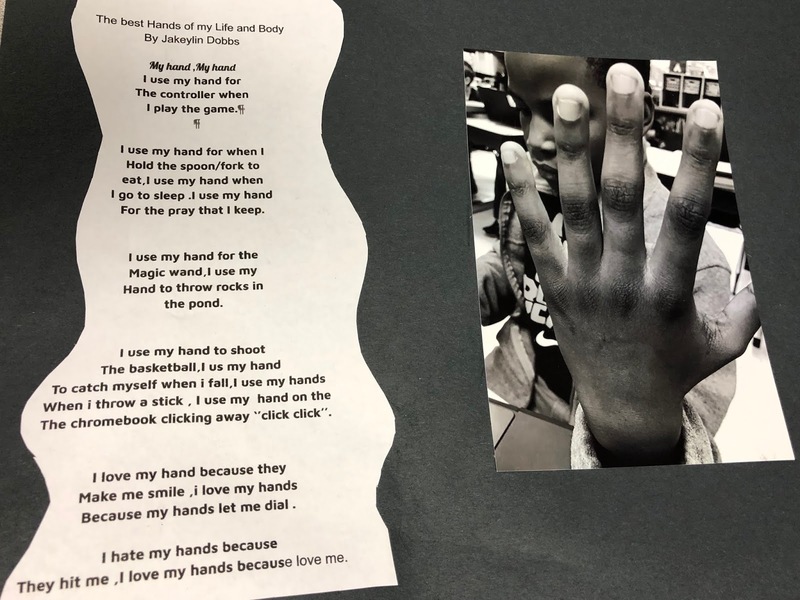 If you haven't heard of this yet, the purpose is to have students identify the best part of them and write why which turns into a beautiful self-esteem boost. There is a book named by the project that I used to introduce everything. I had my students identify the best part of them, I took their picture and edited it in black and white, then printed. While they were at school, they were to type a poem on Google Docs that explained the best part of them. On the last day, we put everything on black construction paper and I laminated them. It really pulled the whole thing together, making it all black and white. 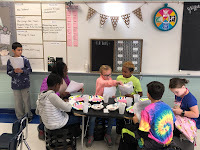 They then got to share them on the last day with the class and oh my was I impressed!! So many of them brought me to tears, hearing the figurative language and imagery they used. They also used what we discussed while reading different poems (rhymes, rhythm, repetition, etc). It was beautiful and one of my favorite projects to do from year to year. Included in the literary text structure standard is Plays. 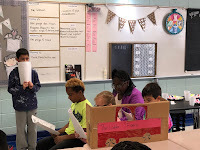 On Tuesday, we discussed the structure of plays and I assigned each of them a script that I had purchased from TeachersPayTeachers by Deb Hanson. There were 3 included and just enough part for each of my students. This first day was just to get the overall plot and tone of the script so I called it a "Table Reading Day." 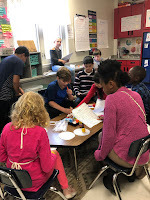 On Wednesday and Thursday, I began with another BetterLesson activity and gave each student questions about their play that went along with the structure of it. They then got to begin blocking out their play. I gave them some pointers along the way, but I really let them take ownership in the whole thing and was quite hands off. I got to see certain leaders come to light because of this, and they got to really learn what worked and what didn't on their own; a "progressive struggle" in-a-way. Friday was show day! Many of the students came in with costumes and props they had made at home for their play. 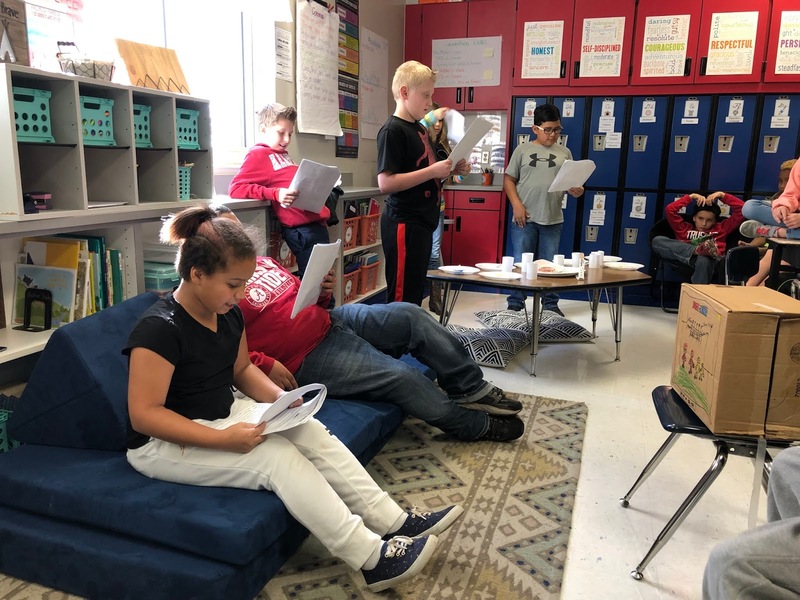 Others had memorized their lines by this point and added in their own personality to the play. The students absolutely loved watching each other perform and the others loved performing! 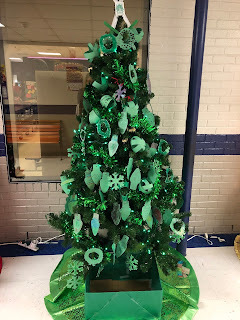 I couldn't believe how much effort they had put into it and how much pride they had shown. 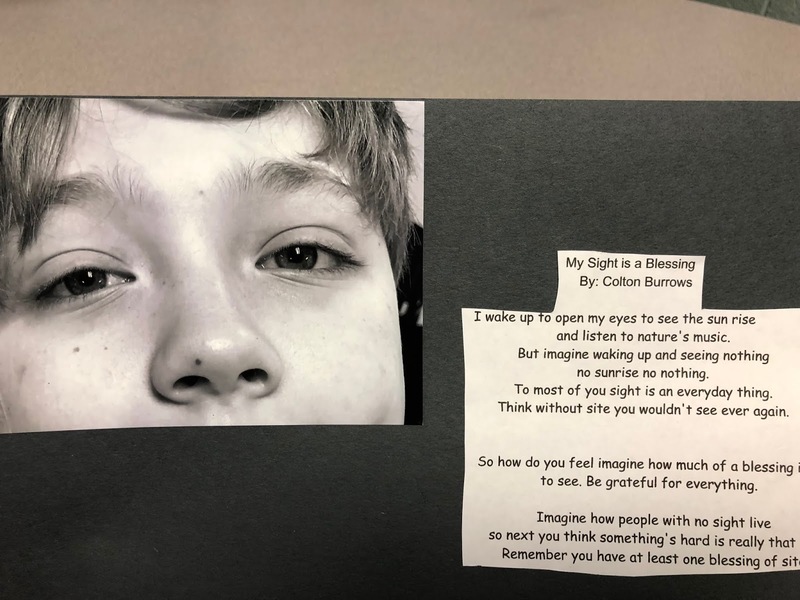 This was a great way to wrap up our unit on literary text structure, and I'm so glad I took the time to incorporate it. 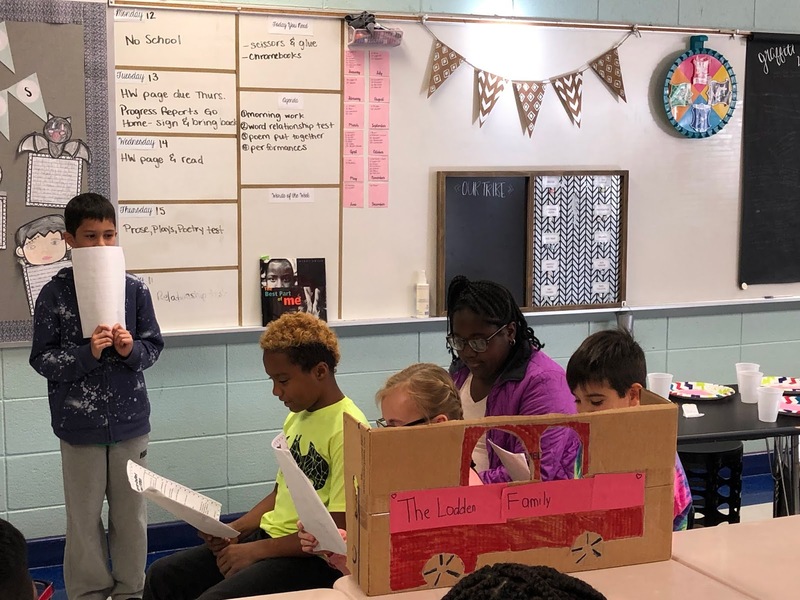 I've never done a reader's theater where I allowed them to fully act it out, but it was worth every minute of our missed small group time. They learned so much more by doing this than I could have taught them in small groups anyways! 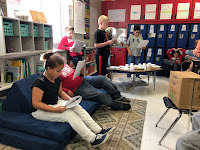 It also motivated me to start a Drama Club for the after school Spring Clubs at our school and my kids are pretty excited about participating. 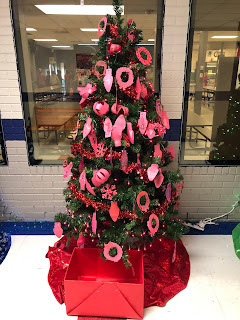 The last big thing on my to-do list during this 4-day week was to get our house trees put up, get pre-cut decorations into teacher's hands, and prepare everyone for our canned food drive. Our school adopted the house system after visiting Ron Clark Academy. The idea originated from Harry Potter where each student is placed into a house, earn points, and have winners each year. You can see more about this in my Why I Use the Essential 55 post. Since I'm apart of the house committee, the teachers who get ideas and plan events for the houses throughout the year, I had a lot to do to make our first tree decorating event go off with a bang. 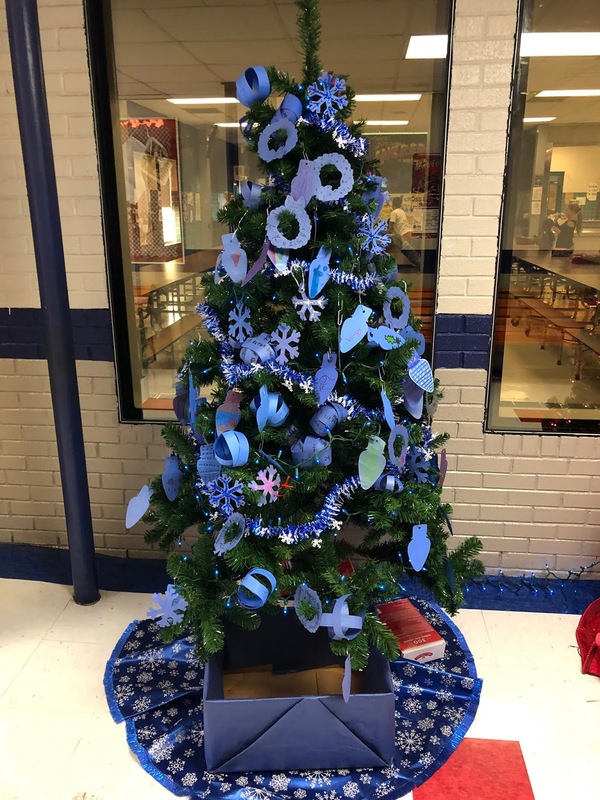 The purpose behind these trees was the boost morale during this time of year, but to also hold our first house competition: a canned food drive for a local food bank. 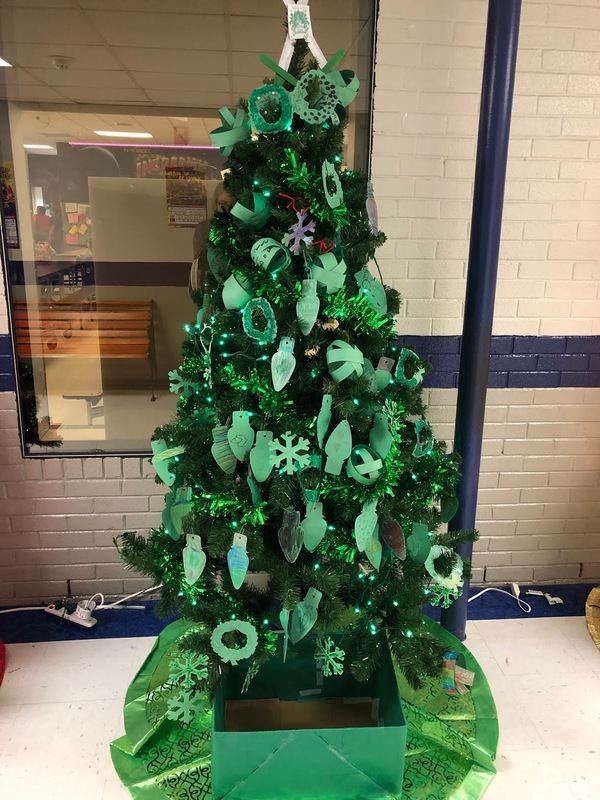 We wanted the trees decorated and ready for when we return from break to begin kicking off the competition without having to worry about the trees. 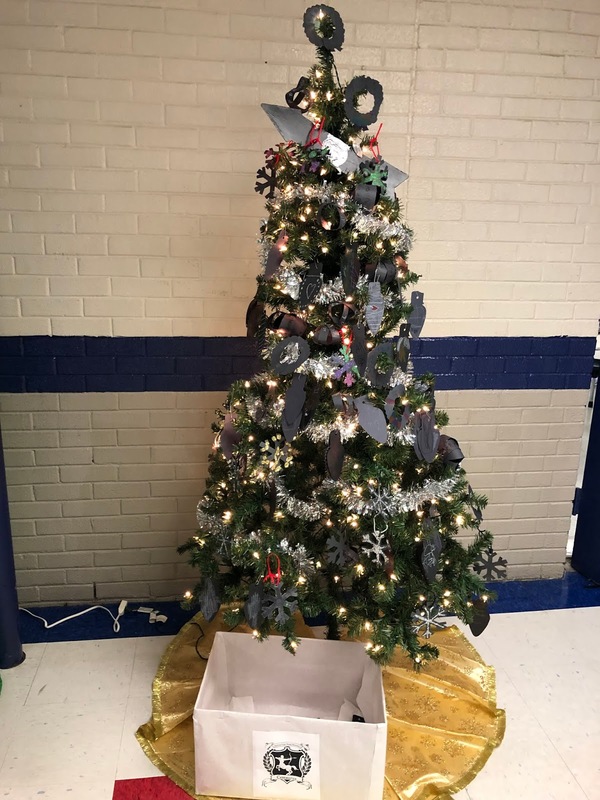 The competition will work by having students donate what they can to their house's tree box. We'll tally it each week and the house will earn points for being in the lead. At the end of the competition, we'll have a house meeting where we'll announce the winner! Through all of the busyness, some wonderful moments were made for everyone. I'm gearing up for a chaotic 3 weeks plus 3 days before Christmas break. Lots of things in the plans, but one thing is or sure, it'll be a crazy-good time!